Picture? Uhmm derp, I don't see a picture. Can you please just copy and paste the log in a spoiler. Oml, forgot to post it in. x'D Oh my. You were running the server, please go and click on the down arrow besides the green circle with the white play button in it and click "Minecraft Client" and then run. 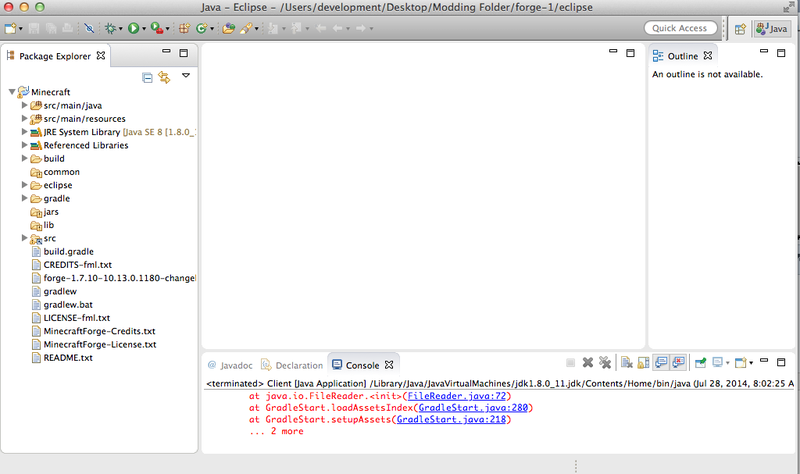 At present you cannot use Java 8 (JDK 1.8), use Java 7 instead. What about this? Minecraft doesn't run though. I'll update to Java 7 and do I have to do anything in terminal? Also, should I just refresh everything and start over? 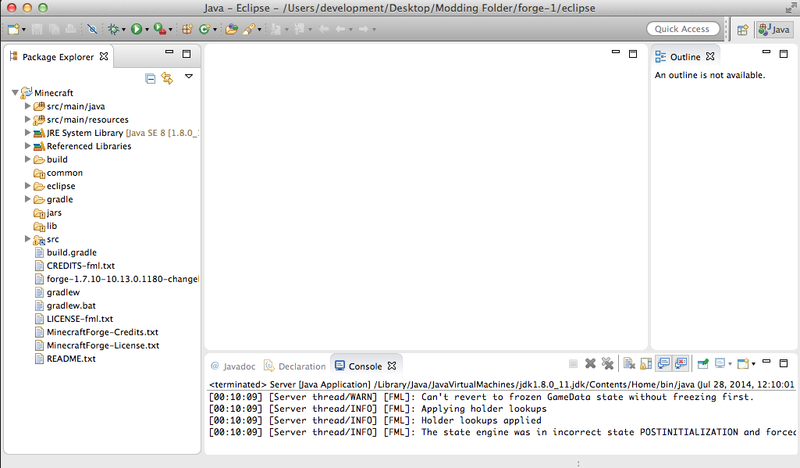 The bin in forge-1 has java 1.8.0_11 in it, how do I exchange that with Java 7?